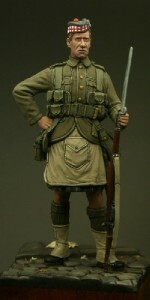 This figure, a Captain, is shown carrying a private purchase Jefferey Farquharson sporting rifle. 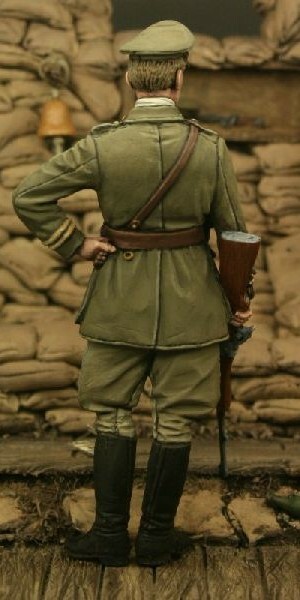 Early trench life was dangerous due to the activities of enemy snipers. 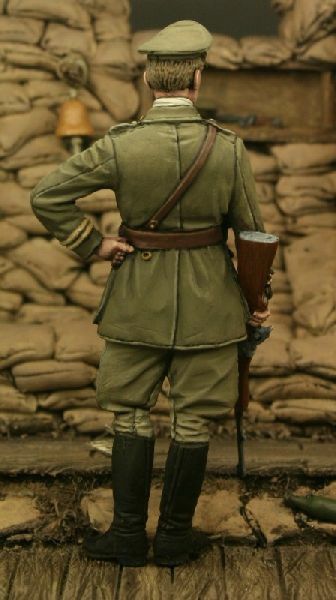 Images of the time show officers taking private hunting rifles to combat the threat. 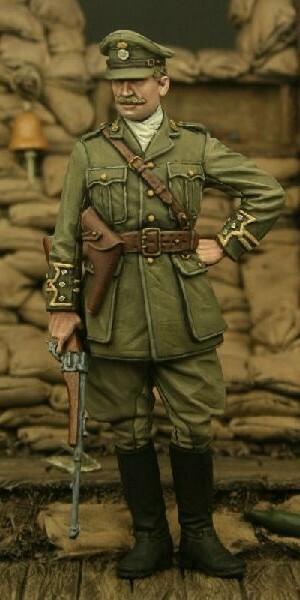 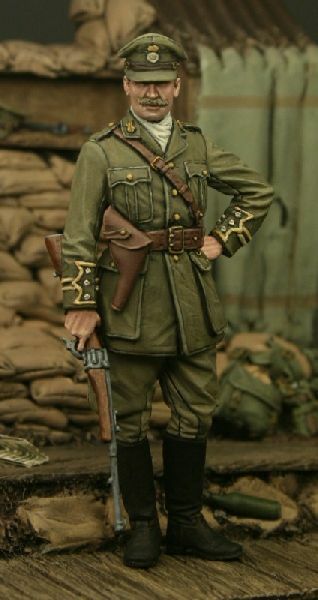 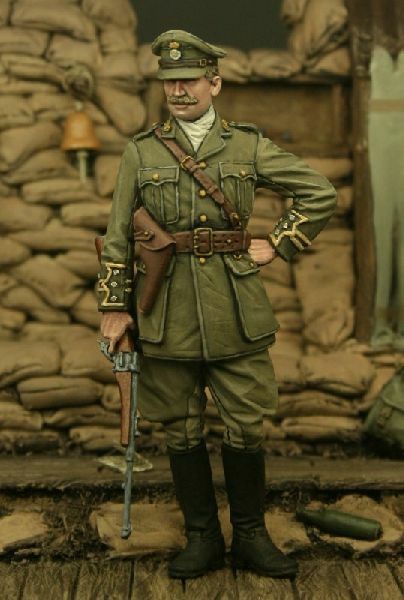 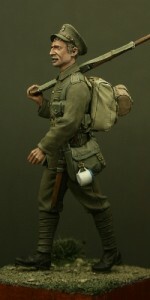 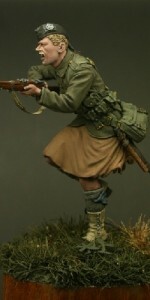 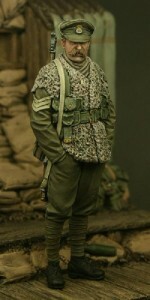 Please note that the trench base/diorama shown in the images is NOT included with this figure, but is available to buy separately. The rifle comes with a rifle sling and all orders include our newsletter which gives more information about the figure and the regiment itself. 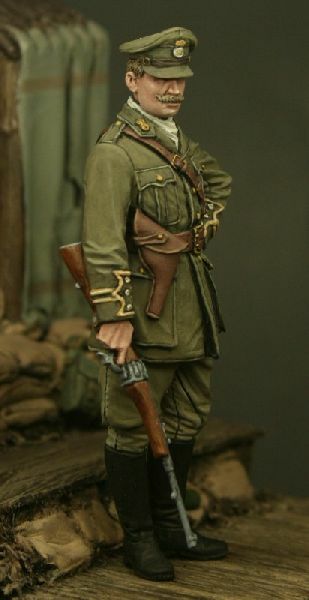 Be the first to review “TW32013 – Captain,Royal Welsh Fusiliers, Ploegstert 1915” Click here to cancel reply.